“The golf ball, as it is known locally, faces being demolished as part of the ?? 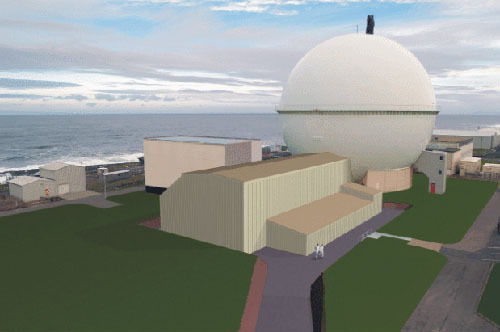 ?2.9bn decommissioning project at the Caithness site. However, the UKAEA said it would consider keeping the dome intact if a viable alternative could be found. It certainly an amazing thing – which would be a great shame if it were to be demolished. Nuclear reactors possess an architectural quality that you might call ‘mysterious interior’. It would be great to be inside the great big ball – and it would also be a tragedy to ‘normalise’ it. I’d imagine its like being in an inside-out planet. It’s appeal is somewhere between science fiction and a sort of ancient primordial-ness. Maybe it would be best to think of it as mysterious monument – an Unclear monument, if you want a bad pun on its former use. Perhaps it could become an experience that captures the optimism and terror of nuclear technology – both apocalyptic and utopian. A sort of theme park of fear and optimism. Maybe it could become a kind of 21st century folly with a cosmic dimension. It could become a version of the Boulee’s fantastical proposal for a Cenotaph for Newton designed in 1784. This was a huge stone sphere with holes drilled through it to map out the constellations. It was a monument to the enlightenment, to science and mathematics. Maybe the sphere could be pierced with tiny holes that line up in a series of cosmic alignments at various moments. With a tiny chair in the middle. Flocks of birds or bats might fly around the volume, and the interior could be gold leafed. Maybe there is a soundtrack commissioned which is based upon the half-life of uranium and lasts for thousands of years, played by generations of musicians handing their instruments from father to son in succession. A kind of cathedral to the wonder and amorality of science, done in the style of James Turrell crossed with Walt Disney. Well, that’s probably not the only thing that could be done with it. So over to you. 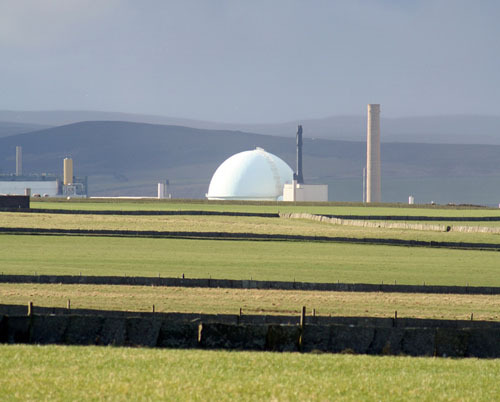 Send your suggestions in to UK Atomic Energy Authority and you might be able to save a piece of industrial heritage. Or perhaps you’d like to buy a souvenir by artist Kate Williams.